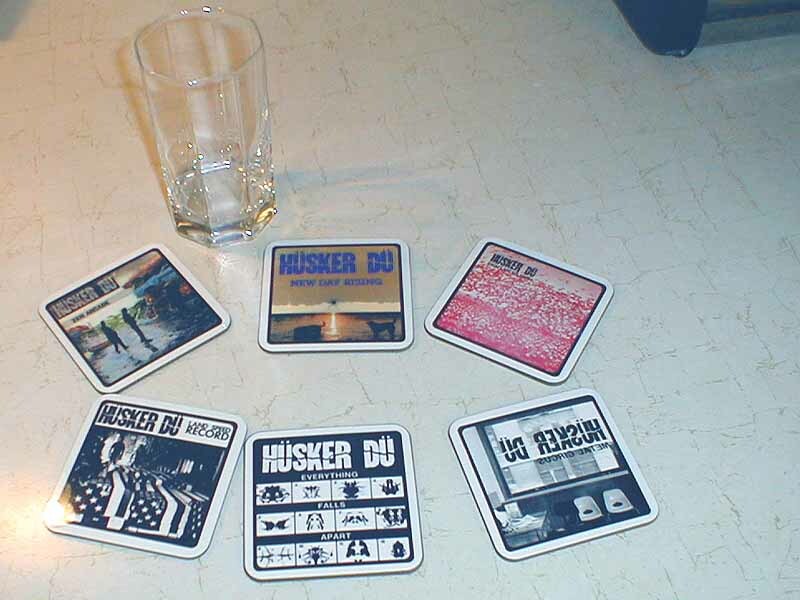 Branching out from the line of coffee mugs, "More Tea Vicar" started producing these coasters at the end of 2005. Evidently, whatever machine he uses to make this stuff can be adapted to print on all sorts of surfaces. These appear to be cut from tempered masonite.